Today Firaxis Games announced the next game in the Civilization series. 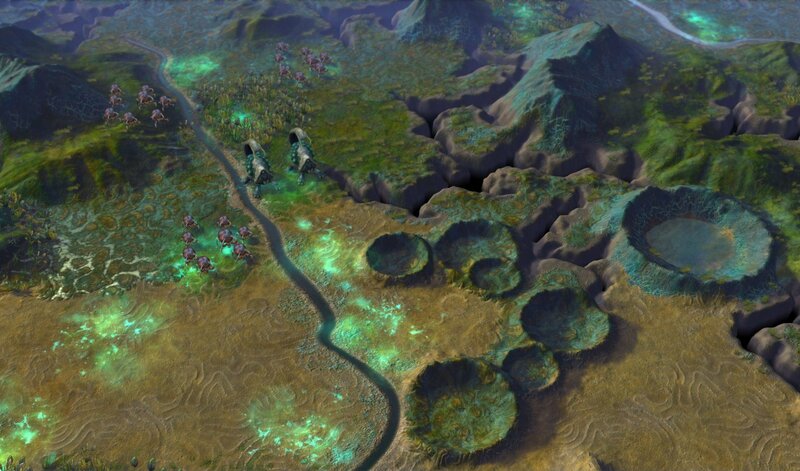 Civilization: Beyond Earth will take players out of the solar system in a quest to create a new homeworld for mankind. "Set in the future, global events have destabilized the world leading to a collapse of modern society, a new world order and an uncertain future for humanity," Firaxis said in the press release. "As the human race struggles to recover, the re-developed nations focus their resources on deep space travel to chart a new beginning for mankind." Eight different expeditions have found a new planet to settle. The game begins with the player choosing one of these factions. Then they pick their spacecraft, cargo and colonists. All of these conditions affect how they begin the game. Players then land on an alien world and grow their civilization. The usual Civ gameplay is all here: creating cities, commanding armies, and dealing with other civilizations. There are also some new elements to the strategy, though. Players can create orbital units with various benefits to their settlers below. Units can be upgraded and customized to suit players' preferred tactics. Quests will give players insight into the planet as well as material rewards. There are several three distinct paths that civilizations can take in researching technology. The Supremacy path involves conquering the environment with machines. Harmony strives for a symbiotic relationship between settlers and their new world. Purity technology focuses on changing the new world to be more Earth-like. Each technology path has their own victory conditions. For example, Purity civilizations can create a warpgate so humans from Earth can settle the pristine, terraformed world. The fourth and fifth victory types are achieved by wiping out all civilizations or making contact with an alien race. 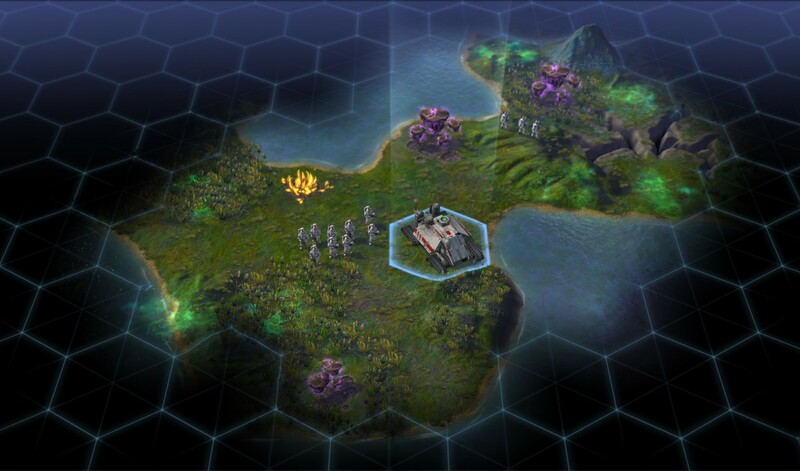 The science fiction subject matter may remind players of Alpha Centauri, the 1999 spiritual successor to the Civilization series. Firaxis can't make a new Alpha Centauri game because EA owns the license. However, Beyond Earth co-lead designer Dave McDonough told Game Informer that some former Alpha Centauri developers are part of their team. "It's not Alpha Centauri 2," he said in his chat with GI. "It's not a sequel. It's a whole new imagining of what civilization in the future, civilization in space could be. There are many homages and nods and winks to Alpha Centauri. And there's a huge creative and spiritual debt we owe to the groundwork that game laid, but this is a whole new idea." 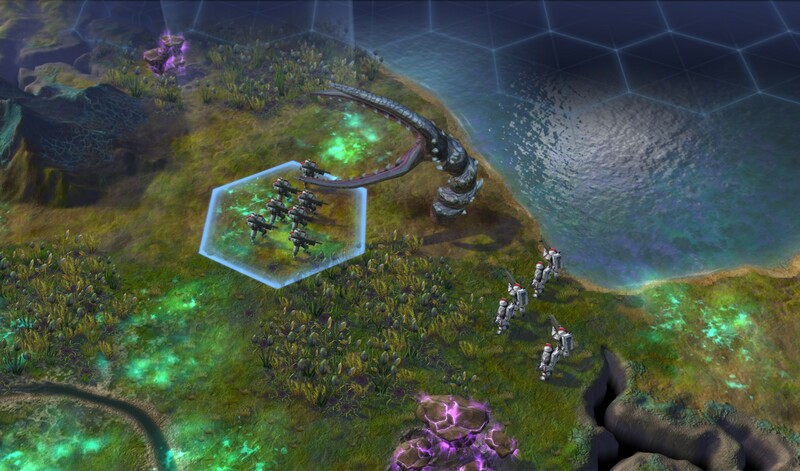 Beyond Earth will debut on the PC in Fall 2014. There's no mention of console versions yet.